Summers in Breckenridge are nothing short of magical: wildflowers grow in abundance, the days are warm but not too hot, and the skies are mostly bluebird (afternoon thunderstorms are common, but pass quickly). 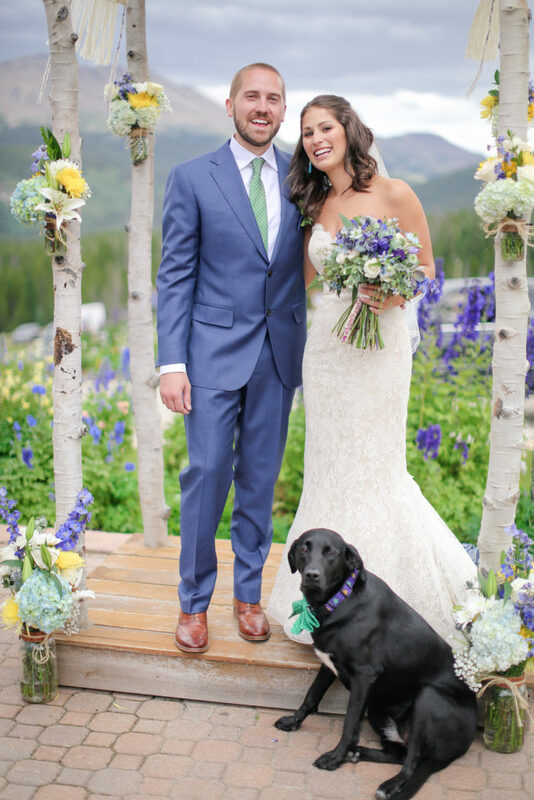 Given the absolute perfection of a Breckenridge summer, it should come as little surprise that many couples choose Breckenridge Ski Resort for their destination weddings. And when you consider the stunning high alpine scenery and the charming downtown atmosphere, a Breckenridge wedding is bound to radiate the magic of this place. 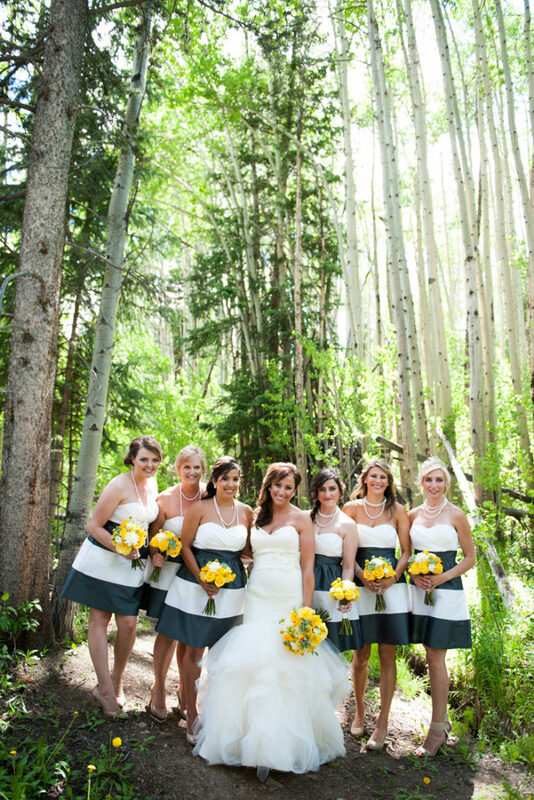 Breckenridge Ski Resort is a unique wedding location, and couples often want the vibe of the celebration to match the mountain style of the town. What does that mean for flowers? 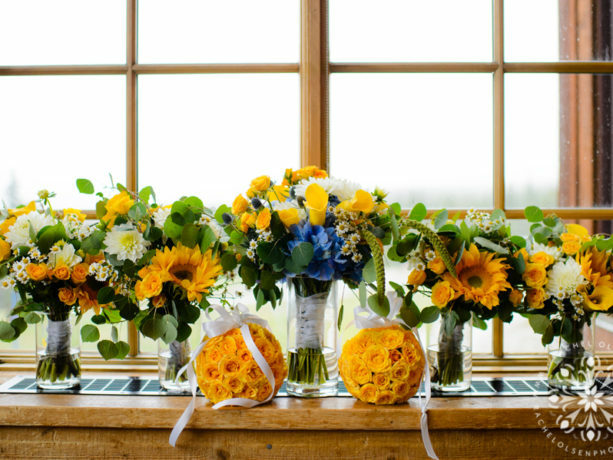 We reached out to two local florists for their tips on choosing flowers for a Breckenridge wedding. 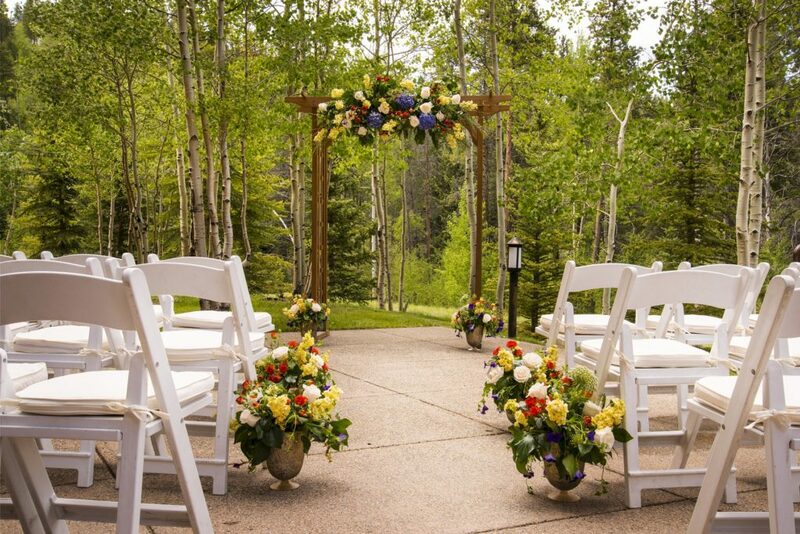 Most couples planning a Breckenridge wedding seek to create a simple, rustic look, so that the beauty of the natural environment shines through. Kayle Walker, owner of local flower shop Petal and Bean, sees many brides interested in capturing this aesthetic by using wildflowers. While Petal and Bean doesn’t hit the slopes to pick wildflowers for the bouquets they create, Kayle does try to source wildflowers grown in Colorado. Popular varieties include delphinium, iris, phlox, yarrow, larkspur, thistle, and poppies. Cindy, owner of Bloom, notes that some clients choose to mix the rustic look with other vibes, like elegant, modern or glamorous. 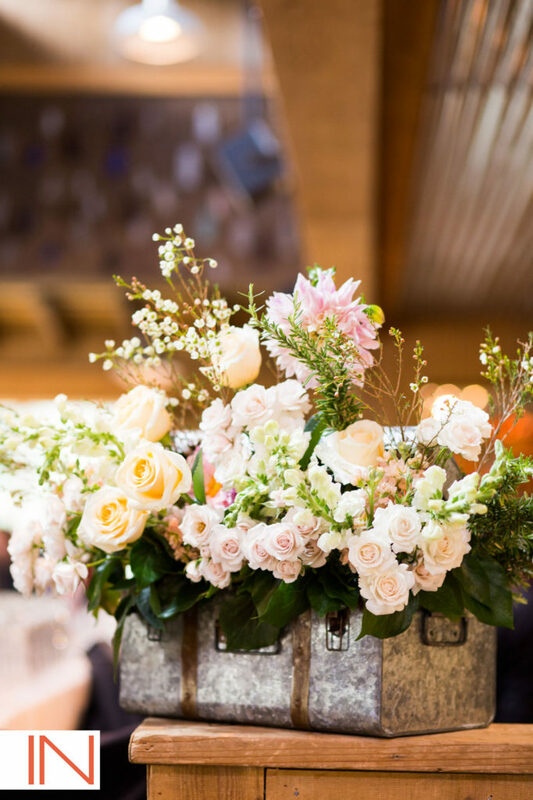 As far as colors are concerned, soft blush and pastel tones are popular hues for wedding flowers – think romantic flowers with multiple layers of petals and intoxicatingly delicious fragrances, like garden roses and peonies. And for couples looking for a more modern look, succulents have been popular additions to wedding arrangements for the past few years. Ultimately, choosing the perfect wedding flowers depends upon the couple’s style, personality, and budget. Cindy advises that couples should tell the florist what they want, wish for, and need, and together, they’ll work out all the details for bringing extra joy and beauty to the event. For this reason, it’s important to work with a florist who will take the time to understand each couple’s vision. 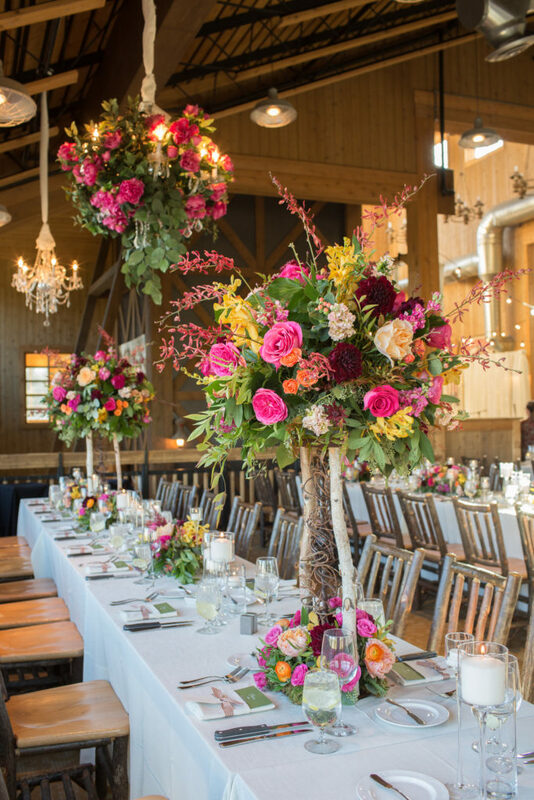 If you’re thinking of a Breckenridge wedding, Breckenridge Ski Resort has a staff of wedding professionals to help couples put all the details together for their celebration. They work closely with each couple to find vendors, plan menus, arrange lodging for their guests, and even help with activities. The whole process is as stress free as possible so couples can focus on sharing time with family and friends. 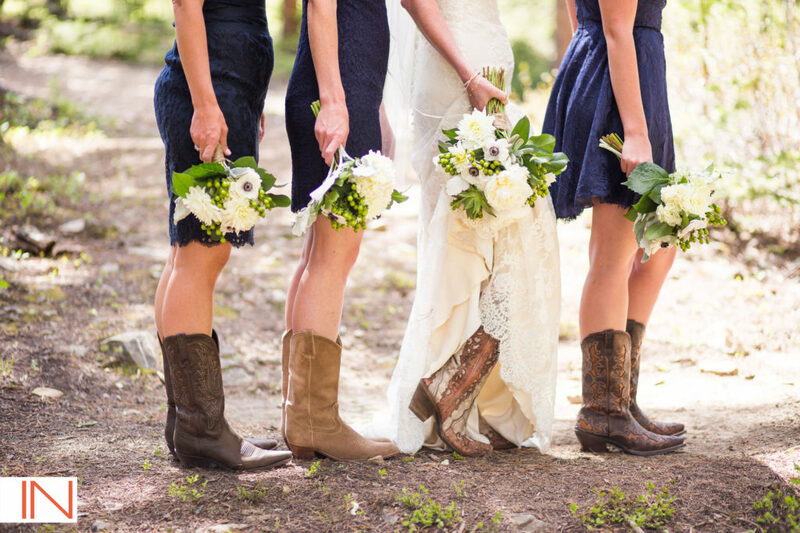 Of course, summer isn’t the only time to get married in Breckenridge! Each season in Breck provides a backdrop of natural beauty, so no matter when couples tie the knot, the magic of Breckenridge will make their special day the experience of a lifetime.